Custom CNC machining ; on the contrary to mass production, prototyping makes small scale production. The prototypes are not standards as in industrial projects, but are rather tailored. Our workshop offers prototyping services for custom parts and equipment using several technologies including CNC machining. Computer Numerical Control (CNC) is an abrasive process whose machines are used for various actions, like for instance machining, routing, cutting, milling and drilling. 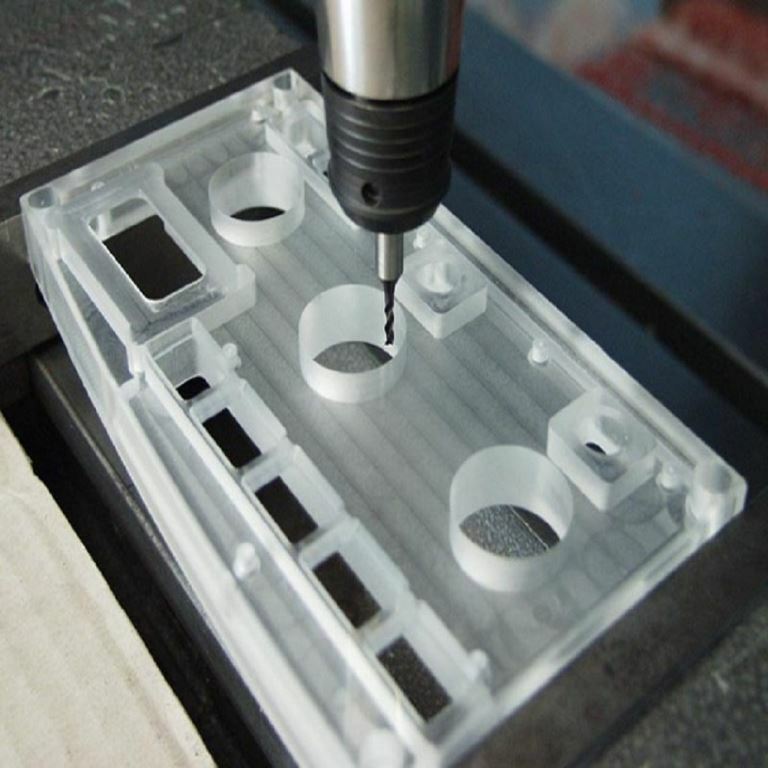 CNC machining is one of the numerous manufacturing methods used in rapid prototyping and the most effective for projects with below 10 copies of a part. PrototechAsia’s capabilities for Custom CNC machinig ; our workshop’s flexibility gives us the ability to produce tailored parts in CNC machinig meeting our client’s expectations. Team: Our team is made of a French workshop leader, dozens of manual workers, two project managers from France and Germany and 5 design engineers to bring your ideas to life. Both our project managers and workshop leader are Europeans, and are fluent in English, French, and German. Finishing and applications: Our expert craftsmen will apply a high-polishing finishing to ensure a smooth surface aspect result. The latter refers to a basic finishing. However, in order to get very realistic parts, we provide a large choice of finishes such as metal plating/coating, chrome plating, anodizing or water transfer printing. We often do projects requiring perfect visual rendering, aimed at fields such as art, design or marketing. Through adjusted sandblasting process, we can make Mold-tech texture finishes. To finish, our workshop offers several applications for prototype CNC machined parts, such as tapped holes and heli-coils. Geometry: Our workshop is used to make both relatively very small and very large parts. To produce the latter, through cut/glue process to merge existing parts together. Our workshop is able to produce parts up to 2000*2000 mm. Industry standards: Our workshop can meet several Industry Standards such as ROHS paint, food grade, UV resistance and UL94V0. Therefore, we cover a large spectrum of sectors. Industries we are used to serve include among others electronics, connected objects, medical, automotive, robotics and smart devices equipped with sensors. Our clients are either industrials often requiring functional parts (R&D departments, scientist, engineers…) or designers mainly necessitating visual parts (artists, marketing departments). Nevertheless, many projects involve both visual and functional parts. Materials: Our custom CNC machining processes and capabilities include plastic material machining and metal machining. Indeed, we are able to manufacture materials such as ABS, POM or Nylon when it comes to plastics and brass, aluminium or stainless steel regarding metals. Looking for custom CNC machining services? Do you have every finish available for the CNC parts? We are able to apply all of our finishes on the ABS and PC parts. We can apply a finish on the other materials, but the rendering won’t be aesthetic and the result affected, so we do not recommend it. However, we can adjust the finish on the equivalent PU parts. What are the tolerances on your machine for a production of a 150mmx85mmx8mm aluminum parts? According to your dimensions, we can guarantee a tolerance of 0.1 to 0.2 mm according to the performance of our current machines. We will require studying the 2D/3D of the pieces to confirm if we can go lower than that.